Note: I wrote this as a comment on a post over at MarketingProfs, but when I realized I’d written 300+ words, I thought: This is a post in itself! At this point, as much as I’ve had fun with Vine, I’m still a Vine skeptic. I’ve got two issues with the app. The big one is sound. Montage works in movies because you can have a separate audio track that provides continuity. Since Vine doesn’t allow you to separate sound from image, the soundtracks of Vine-ettes (as I call them) tend to be choppy and abstract (or, “experimental,” to be generous). You can show a kind of story, but it’s much harder to literally tell one. The sound is also a distraction. Whereas I can scroll through Instagram while waiting at the dentist’s office without bugging people (or at home without bugging my wife), with Vine I either have to use earbuds or keep the sound off, which means missing what can be an important piece of the content (though, to my first point, often is not). The second issue is time. Unlike Instagram, it takes time to make Vine-ettes. This makes it, in its way, “anti-mobile.” Since Instagram allows me to pull in pictures from my photo library, I can snap pics on the fly and “Instagram” them whenever I want. With Vine, as simple as these things can be, sometimes it takes time to get them right and sometimes I will re-shoot a couple times and then just give up (ok – I’m a quitter). There is also something to be said for the at-a-glance scrolling that both Twitter and Instagram provide. With Vine, I have to stop and watch. Again, it’s only 6 seconds, but it adds up and makes the interaction lumpy rather than smooth. I’m not saying that Vine couldn’t fix these issues—by allowing for separate sound recording, for example—but, frankly, if they added more features it would simply make the process more involved and time-consuming. Once that happens, this will become what I think it is destined to be: a novel social tool/network/phenomenon whose widespread adoption will stall. Barthes et al. were responding to various French philosophical currents of the 20th century but especially, I believe, existentialism. Whereas existentialism had put the individual human being at the center of (an ultimately meaningless) existence, thus hoping to establish a new moral center following the death of God, the post-structuralists chose instead to show that the individual was not the center of anything but, rather, the effect of many things (language, culture, discourse, the unconscious, etc.). The French were not the first or the only critics to suggest that the individual (sometimes called “the subject”) was epiphenomenal. Freud had certainly pointed in this direction when developing his psycho-analytic theories as had Nietzsche a decade or so before him, Marx a decade or so before that, and Hegel at the very outset of the 19th century. But even these gentlemen were not the first to insist on the essentially contingent nature of individual identity which, in one form or another, can be traced back to the teachings of Buddha and even the Vedic authors before him. Which is all to say that when I read things like Mitch Joel’s recent blog post on “ghost blogging,” my philosophical buttons get pushed. The philosopher in me wishes merely to point out that expressions like “actual author,” “real voices,” “human,” “social” and so on are not unproblematic. What, after all, is an author and how does an author, generally speaking, differ from an “actual” author? What makes a voice “real,” particularly when we are talking about written texts (blogs) where the notion of “voice” itself is metaphorical? What attributes belong to the category “human” and what happens when “humanness” is invoked as an ethical category? Since when is the “social” defined by “honesty, transparency, and openness” rather than by concepts like “convention” or “conflict”? Etc. I’m not sure that Mitch Joel is interested in the history of philosophy, let alone the history of the “ideals” that he invokes. Indeed, I’m fairly certain that he would dismiss my argument—that, in essence, concepts like authorship, or authenticity for that matter, are over-determined, social constructs which in no way represent uncontested, universal values—as equivocation. I am, after all, a ghost blogger whose work goes undisclosed by my clients. Thus, in the eyes of Mitch Joel, Avinash Kaushik, and others, I’m an aider and abettor of unreconstructed frauds and deceivers. In my “defense,” and in answer to Mitch’s inherently unanswerable question (shades of “How frequently do you beat your wife?”), I would say that, if I am afraid to state that my first act every morning is one of deceit and misdirection, it is because I fear saying something that I do not consider to be true. Rightly or wrongly, I actually believe that the people whose bloggings I facilitate are the “actual” authors of the posts that I produce. The ideas are theirs, the “voice” is theirs, the blog is theirs, etc. When we demand that humans be “authentic,” or criticize them for being fake, it’s because we have reduced them to the status of commodities. In fact, I believe that the social media, rather than humanizing marketing, as Mitch Joel and others have long hoped, have in fact completed the total colonization of human thought and affect by market forces. Given the absolute assimilation of our lives by the new media, down to the most trivial whims (“I just ate a donut covered in bacon!” “I hate Justin Bieber”), isn’t it possible that the only way to hang on to our humanity is through masks, personae, and “ghosts”? The format involved Laura Ramos asking each panel member, all of whom represented marketing automation vendors, to respond to a specific scenario that she had cooked up. As the panelists responded to the challenges, here’s some general insights and thoughts that surfaced. On the ROI front, the emergence of the SaaS model has really changed how marketers need to think about the investment (cap ex vs. op ex), but it is also changing the conversation from one focused on ROI and one focused on TCO. (Jon and Kristen). This led to a broader discussion of ROI in which Brian Kardon of Eloqua pointed out that, for a marketing automation implementation to work, a lot of marketing processes have to change and, therefore, the conversation shouldn’t necessarily focus on the investment. 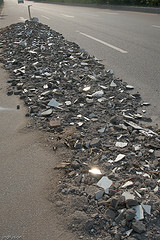 Instead, you really need to uncover whether or not the organizational will is there to see this process through. On that point, Jon talked about the power of integrating the insights from your analytics and automation tools actually show up where your sales people are looking. When integrating the various tools with salesforce.com, you need to make sure that changes to your implementation don’t break the connection with the marketing tool and that you aren’t asking your sales people to learn how to use a new tool. 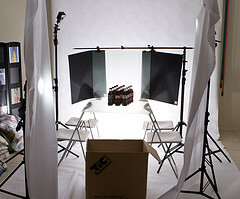 An audience member (from Daxko) asked each panel member to say something positive about the other panelists’ products. Kristen said that Marketo has helped increase adoption of automation. Jon said that Genius.com has pioneered automated response. Parker said that Eloqua is the Cadillac of solutions. Brian said that Neolane is a good product with a lot of happy customers. Of all the things I heard in this session, the one that really stuck with me was this one made by Brian Kardon: It’s not the technology that’s the problem, it’s the soft things. Ron Casalotti of Bloomberg Businessweek kicked things off talking about their Business Exchange social media platform: a people-filtered resource for business people. In order to encourage users to participate, he instituted a rating system for submissions, among other things. With over 40K registered users, BX serves as a folksonomy of topics that are of interest to Bloomberg Businessweek readers and gets used as a source of stories for print publication. It also helps direct content focus for the marketing department since they now know what readers actually care about. Top Tip: Don’t get caught up in the numbers. 200 active participants are more meaningful than thousands of passive followers on Twitter, for example. What really counts is building engaged relationships. Deirdre Walsh, self-proclaimed “geek matchmaker” and Community & Social Media Manager for National Instruments was up next. The cornerstone of National Instruments’ community strategy are their support forums which have over 140,000 participants and 50% of all questions posted are answered by community members. The community is used extensively by the organization for product feedback, R&D insight, etc. National Instruments also puts a big emphasis on recognizing and engaging with community “rock stars.” One interesting point of measurement for Deirdre are “actionable conversations.” She also measures community growth and number of posts per community member. Top Tip: Don’t get overwhelmed by the technical options (Facebook vs. Twitter, etc.) but utilize something like the P.O.S.T. method to develop your plan. In other words, treat social media as any other marketing communication function. Next up was Mike Travis of Equat!on Research who spoke about the process involved in producing their “2009 Marketing Industry Trends Report,” a research study “by marketers and for marketers” which relied on crowdsourcing to determine survey questions. The strategy was to use the survey methodology itself to engage a community where Equat!on wanted to be better known. These efforts resulted in greater exposure, site traffic, and a five-fold increase in leads generated. Top Tip: Crowdsourcing is a good way to get in touch with a community and actually become part of it, as long as you have something of value to add to the conversation. Kirsten Watson, Director of Corporate Marketing at Kinaxis, then spoke about her efforts to create a supply chain expert community. One key element of their strategy was to build a highly engaging, content-rich “home” for supply chain experts to learn, laugh (yes, there is comedy in supply chain management), share, and connect. Another key element was to leverage content to achieve SEO goals and beat out much larger competitors like SAP and Oracle. These SEO efforts pulled people primarily to the community and the Kinaxis blog, and only secondarily to the Kinaxis website. [Quotable quote: “You can always buy traffic.”] Note: 20% of community members are customers and 80% are prospects. Top Tip: Repurpose and reuse content whenever possible (“Create 10 things out of 1 thing”) while always thinking about SEO. Keep communities open, even to competitors. Post content to relevant LinkedIn groups (but don’t play where you’re not welcome). Link editorial content to keyword strategy. If you have people in your organization interested in blogging, send them to “Blog College” like the folks at National Instruments do. Give people guidelines and frameworks and let them go. “Social media” is not a campaign or a program; it’s a tool. Christina “CK” Kerley moderated this session extremely well keeping things focused and the whole thing highly information-rich. The strongest part of this session was John Mueting’s very detailed and insightful tale of what they did at Allstate to improve marketing effectiveness. Big Idea: Marketing and sales need to work closely together. Metrics can play an important, even critical role, in cementing that relationship. Dennis Chapman comes to the field of marketing measurement from sales where he learned how to work according to a very simple dashboard: Revenue. If he brought in enough, he was rewarded; if he didn’t, he lost his job. “You can measure anything,” Dennis says. The problem is that it can be very difficult to measure some things like marketing, in part due to lack of data. That problem is compounded by the increased pressure on marketers to produce facts to defend their actions and decisions. The solution, according to Chapman, is predictive analytics. “Analytics that tell us the future,” as he put it. How much revenue and profits are coming from our marketing efforts? How can we optimize results from our marketing investment? Ann Handley has taken the podium and is right now running down the many sponsors of the event. There are quite a few and the emphasis seems to be on marketing automation and related disciplines. That’s just at first blush. Ann’s main message to the assembled conventioners (or forumites): Don’t be afraid. Don’t be afraid of talking to strangers. Don’t be afraid of attending a session where you don’t know the speakers. Don’t be afraid to learn, stretch, and grow. She has also reminded everyone to “follow the back channel” (Twitter hashtag “#mpb2b”). Always a word to the wise. More later as I try my best to live blog the heck out of this thing. Like I said in a prior post, when I attended MarketingProfs B2B Forum several years ago, it changed my life (for the better!). Now I would like to add that 80% of the work I’m currently doing can be linked back to contacts I made at the Forum last year when I moderated a panel on content marketing. Of course, your results may vary but I highly encourage you to attend this event (or the associated Tweetup) if you are in Boston next week. I say that on the one hand because they’ve given me a pass for promoting the event, but, on the other hand, I would say it even if they hadn’t. The MarketingProfs community is full of interesting, talented people and you will benefit from just being around them. Oh yeah, and while there, you could even have the chance to talk with me, one-on-one, mano-a-mano, about blogging. Believe me, I’ve got a thing or two to tell you on that topic. I very much hope to see you there and, if you see me, come over and say “Hi.” I’m really tall! The specifically savvy marketing in this case involved putting a premium on customer service (being willing to deliver even relatively small amounts), customer satisfaction (they called to check on quality), customer referral programs (discounts if you bring in new customers), etc. In other words, I’ve come to realize that no matter how much people malign marketing, they cannot deny its critical role in every kind of business success. The reality of the value marketing brings to any enterprise, far from being difficult to demonstrate, is in fact undeniable. As proof of this contention, I submit the fact that “marketing” is a recognizable function in the dark allies and backrooms of underground economies, where many conventions of the above-ground economy – signage, agencies of record, HR- are eschewed in the name of fugitive efficiency. Two years ago I attended the MarketingProfs B2B Forum in Boston and, frankly, it changed my life. 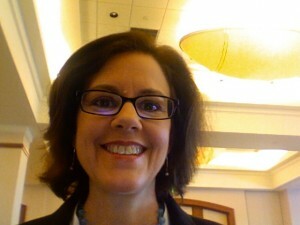 Aside from finally getting to meet the fabulous Ann Handley in person, I found myself connected to a community of smart, interesting, and engaged marketers that constitute the core of my professional network to this very day. Well, guess what? 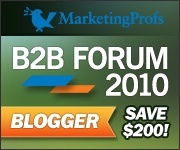 MarketingProfs is hosting another B2B Forum May 3-5 at Boston’s Seaport Hotel. The emphasis on practical, actionable learning is one of the things that I’ve always valued about MarketingProfs events and, once again, they’ve assembled an impressive roster of speakers who will bring a ton of real-world experience and, more importantly, useful advice to the sessions they lead. I’ve met a number of these folks – Amy Black, Rachel Happe, Christina Kerley, David Thomas, Laura Ramos – and must say that they are smart, thoughtful marketers that, frankly, you can’t afford not to meet. But wait, there’s more! MarketingProfs also does a great job lining up keynote speakers and this year is no exception. First, there’s David Weinberger, co-author of the runaway business hit, The Cluetrain Manifesto, who will be talking about what marketers are still missing about the digital economy. Secondly, attendees will also get a chance to hear Mitch Joel, who I saw at PodCamp several years ago and who remains one of the most humorous and thought-provoking speakers I’ve seen. And if that’s not enough, I will be there in the role of Blog Therapist. Seriously. It’s not to late to register and if you use the codeword “BLOG” then you’ll get yourself a $200 discount.